My kids get a little bored with the same old television shows, especially this time of year. 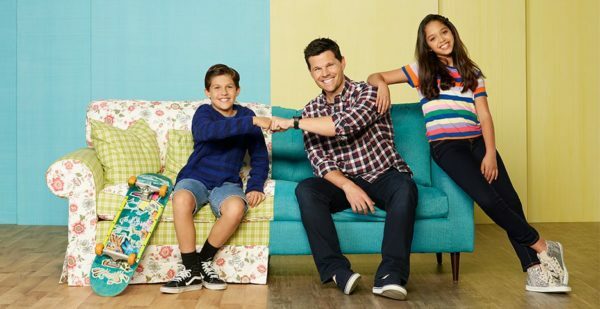 So I was excited to see that there’s a NEW Disney Channel sitcom headed our way! 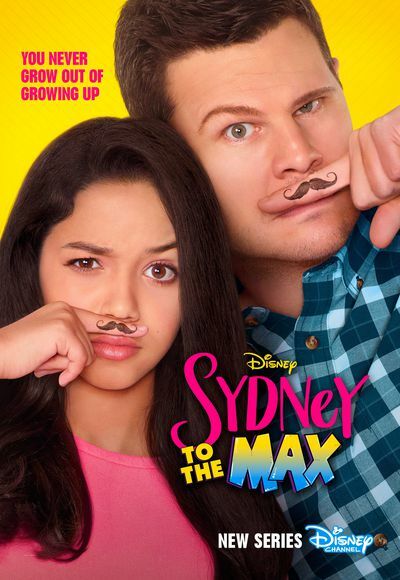 “Sydney to the Max” is a daughter/father sitcom – with Grandma, too! – that premieres this Friday, January 25 at 8:30 pm ET/PT. 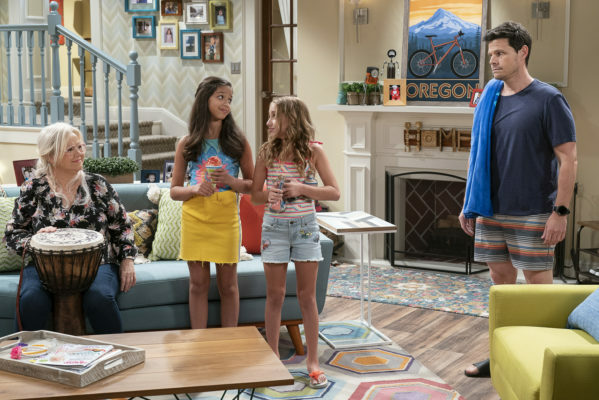 Set in the present day with flashbacks to the 1990s, the comedy revolves around outgoing middle schooler Sydney Reynolds who lives with her single dad Max in the house he grew up in, along with her progressive grandmother Judy – three generations under one roof. As Sydney’s preteen pursuits begin to expand with unexpected and funny twists, Max tries to get a better sense of the guidance, perspective, and support she needs. Grandma, full of both parental wisdom and wisecracks, has a razor-sharp memory that proves Max’s own teenage antics parallel Sydney’s. Flashback scenes to a young Max and his best friend Leo juxtapose the funny predicaments invented by Sydney and her vivacious friend Olive. The show stars 13-year-old actress/musical artist Ruth Righi in her first leading role. 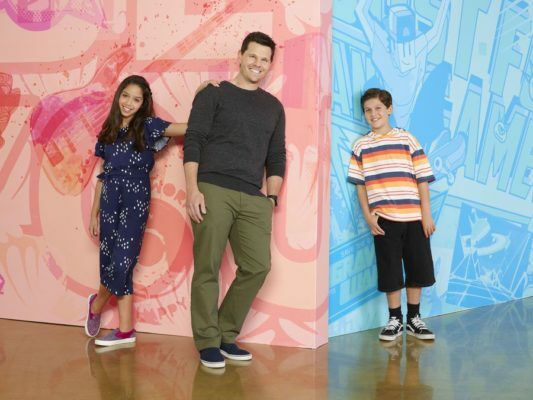 Created by Mark Reisman, the series is geared for kids ages 6 to 14 and families (it carries a TV-G parental guideline). It also stars Ian Reed Kesler, Caroline Rhea, Jackson Dollinger, Ava Kolker, and Christian J. Simon. 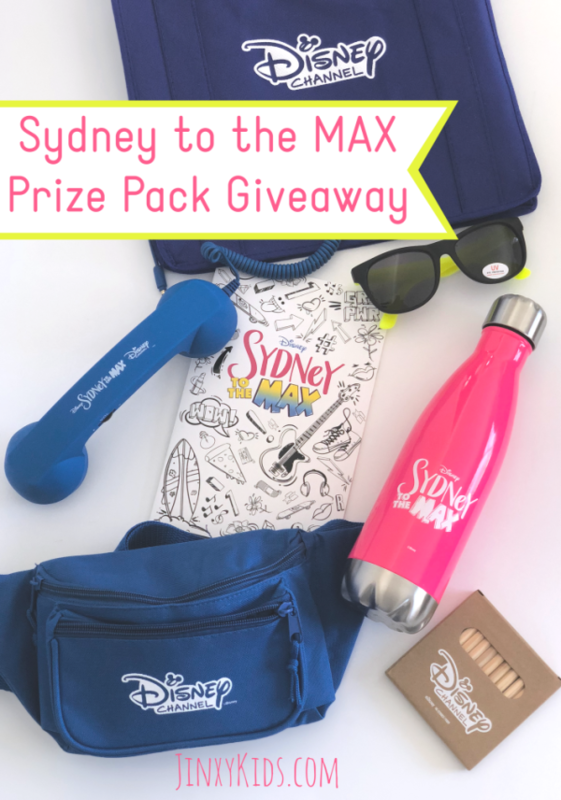 Reader Giveaway: One lucky Jinxy Kids reader will win a “Sydney to the Max” prize pack. To enter, just complete the entry form below by 11:59 pm ET on 2/11/19. Good luck! “Share a favorite memory from your childhood AND/OR let us know who will be enjoying this prize pack if you win.” I will enjoy this prize pack, and maybe I will share it! My daughter will be enjoying this prize! Our Samantha would love this. She’s looking forward to watching it. I’d enjoy it with my cousin! My girls would be getting and loving this if I won! This will be for all of my granddaughters to enjoy. Saturday morning cartoons. My sister and I would build a fort every Saturday while watching cartoons! My kids and I will enjoy the prizes! We’re trying to take our girls to Disney for the first time since they were babies, hopefully this year! My niece will enjoy this. one of my favorite memories is sledding with my brother on an inner tube, so fun!! Watching Mr. Cartoon was the greatest watching while growing up. My daughter would love this. I remember having two female dogs that had a big litter of puppies within a week of each other and how I would roll around on the ground with about fifteen puppies. My memories of a child were playing all day outside and being home by dinner. Spending time with my grandparents in the summer (I miss them), and just being happy and carefree! My favorite childhood memory is sitting with my grandfather on my grandparent’s front porch while it rained. We would have a soda, sit in the swing and watch the rain fill up the lake across the street. I’ll never forget it! I remember my neighbor and I dressing up in my grandma’s clothes and wigs. My daughter would love this prize pack. I would give this prize pack to my daughter! ! our grandkids will be sharing this prize – very excited. I remember going to the Worlds Fair in 1964! I was 9. My granddaughters would love to watch this DVD. Thanks for the opportunity. I have to say building and racing a gocart with the neighborhood kids. also so much nostalgia in this set i may keep most of it for myself!! My favorite memory is when I took my mom, son, and two nephews to Disney World years ago. I still remember the smiles everyone had on their faces as we enjoyed the theme park. I have never been to Disney but I would love to share this with my daughter! My daughter would really love this package. Thank you for the chance! I would be enjoying this prize pack with my niece. playing street football after the snow plow clears your street. my friends and i were slipping and sliding every where. I would share this prize with the neighbors. Visiting my extended family in Canada as a child was memorable. I would share this with my Disney fan pals. This would be perfect for my nieces! They would like it. 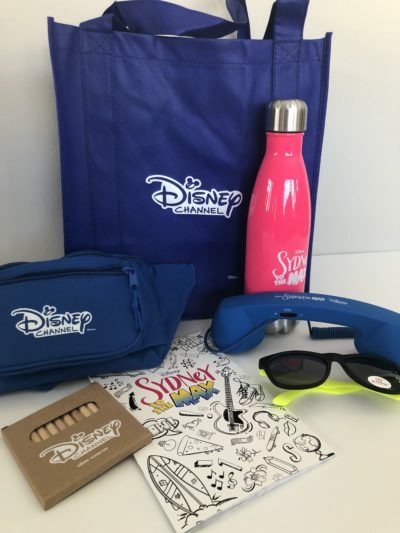 I like that there is enough Disney swag (tote bag, sunglasses, fanny pack etc.) to spread the wealth. My grandchildren will be enjoying this prize pack if i win! I would share this with my sons!!! They would love it!! I will enjoy it with my son! My 8 year old would LOVEEEE this prize pack!! Such a fun prize for the grandkids. Everyone loves Disney. Someone will enjoy this prize! My niece will love this prize pack! My daughter would enjoy this prize pack! Doing jigsaw puzzles with my grandma is a favorite childhood memory. I would share this with my granddaughter. I would love to gift this to my niece. My favorite memory is actually going to Disney Land with my family when I was young. I remember this vividly! If I win, my grandchild will be enjoying the prize. My 2 daughters would be enjoying this prize pack! We love this show so far. My twin girls just turned 13. I would give the prize to them if I won. My granddaughter loves this new show, so she would get the prize pack. My littles would have to share this prize if I won! My daughter will enjoy this if I win.